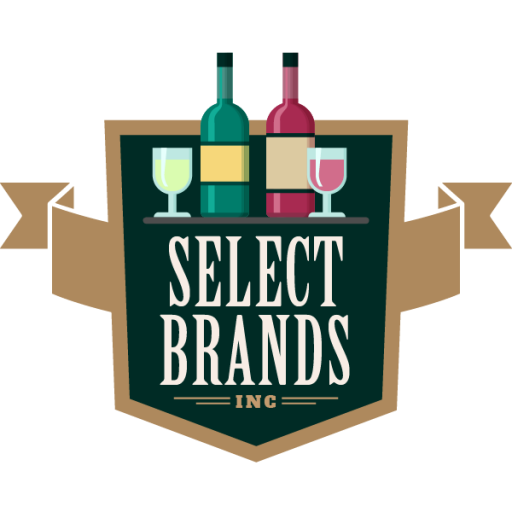 Select Brands Inc. was established in 1997 as a brokerage firm for fine wines and spirits. Due to a great partnership, Select Brands has become one of Louisiana’s finest representatives for the industry. The partners, Dwayne Shockley and Bernie Ralston, have a combined tenure of over 63 years of experience with wines and beverages. Dwayne worked for the Magnolia organization, as well as owned a restaurant, wine bar, and liquor store. He was also employed by Canandaigua Wine Company for over five years. Being a native of Louisiana, Dwayne’s relationship with the distributors and retailers has grown and given him the opportunity to establish countless contacts and friendships within the market place. Bernie joined the firm with 22 years of experience. Her position as Area Sales Manager with the Magnolia Company in Lafayette, Louisiana, allowed her to establish close working relationships with the wholesalers, top to bottom. Her on and off premise experience has become invaluable to the Select Brands organization. Bryan Mayley joined the Select Brands team with 13 years of off and on premise experience in wine and spirits. He worked for 7 years with RNDC in sales and management, 1 1/2 years with Bronco Wine Company as Louisiana State Manager and 4 years with Delicato Family Vineyards covering Louisiana and Mississippi as Area Sales Manager. In addition to the wine and spirits industry, he also owned and operated his own grocery store in New Orleans. Bryan is using his experience to grow Select Brands on and off premise with hotels, restaurants, fine wine shops, chains and independents. Dale Adkins has joined the Select Brands team as the Republic National Distributing Company Marketing Manager, replacing Mike Bonfanti on January 1, 2018. He has been working in the beer business for the last 37 years and just retired from that career. He worked at 2 Anheuser-Busch distributorships in Louisiana – 24 years in Baton Rouge and the last 13 years in Madisonville. Most of his time has been spent doing pricing, sales analysis, product supply and various sales, marketing and budgeting positions. He is excited about this career change and looks forward to working with you. Select Brands Inc. is currently doing business with the following distributors: Doerries International, International Wine & Spirits, Mystic Vines, Paul Bologna Fine Wines, RNDC, Select Wines, Southern Beverage, Uncorked Importers & Distributors of Fine Wine and Wines Unlimited. These Louisiana Natives are Select Brands Inc. and we build brands!